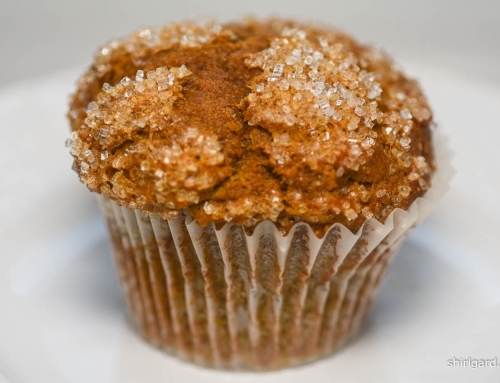 - About 70g (1/2 cup) to "stud" the tops of the muffins after the Crumb Topping is added. Fresh only: frozen bleeds too much. Preheat oven to 450º F. Line muffin cups with 6" paper liners and spray with non-stick spray with flour just before filling cups. Set muffin pan on half sheet pan. In a large bowl, whisk together flour, granulated sugar, brown sugar, baking powder, cinnamon and salt. In a separate bowl, whisk together the eggs, yolks, oil, orange marmalade, orange zest, lemon juice, and vanilla. Fold the liquids into dry ingredients until the flour is half absorbed. Toss the "Add-ins" together in a bowl until evenly mixed. 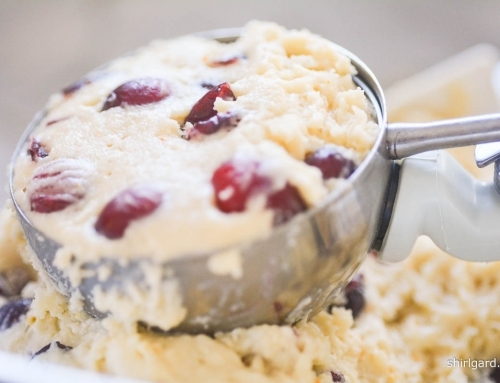 Scatter them over the muffin batter and continue folding until just barely mixed and all of the flour is absorbed. 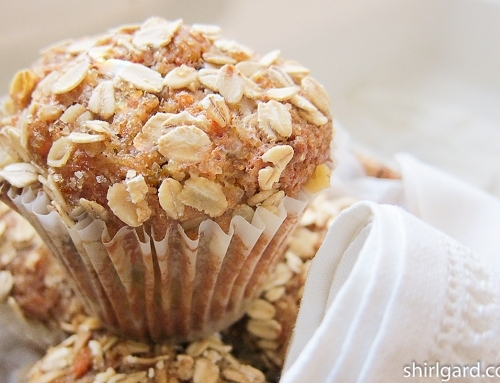 Scoop into the prepared muffin cups, using a #10 ivory scoop (1/3 cup capacity). Sprinkle the tops generously with the Turbinado Crumb Topping. Push the extra fresh blueberries randomly into the topping. 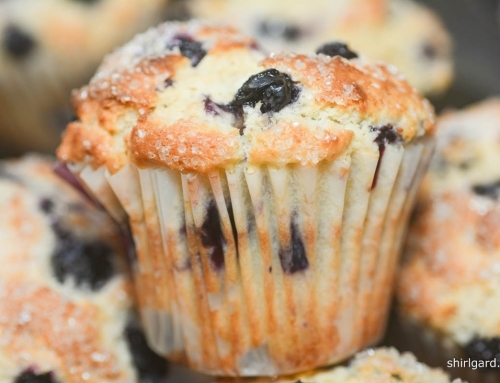 TO BAKE: Turn oven down to 425° F when the muffins go in and bake for 10 minutes. Then turn oven down to 400° F to finish baking: another 20-22 minutes. Rotate pan half way through baking. Total baking time 30-32 minutes, until golden brown and a wooden skewer tests clean. Internal Temperature = 210°F - 212°F, if using a thermometer. Cool in pans 5-10 minutes, then remove muffins to wire rack to continue cooking.